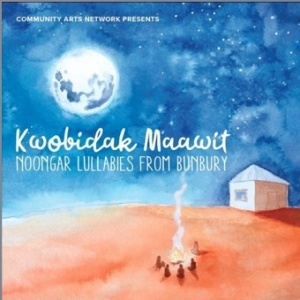 Education Officer Charmaine Councillor from the Noongar Boodjar Language Centre partnered with CANWA and SWAMS celebrated their CD launch on the 20th of November 2018 at the Bunbury Regional Art Gallery.  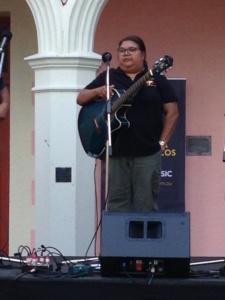 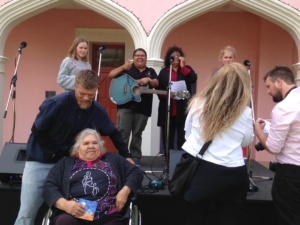 It was a time for all community to came and share and hear the beautiful Noongar Language songs that were created by the local Noongar community. 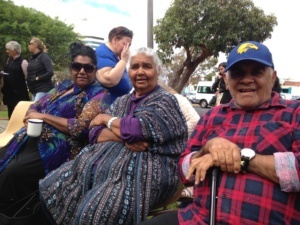 Melba Wallam and others getting ready for a performance.